BEST FESTS: J. Edgar Hoover, Morgan Fairchild, and a Wigwam. Your head has finally stopped hurting after Saturday night’s love affair with the Zombie party punch. And you’re only half-way through that box of booze-filled cherries you got for (ahem) the neighborhood tricksters and treaters. But, Go Go’ers, if you thought this was going to be a recuperatory post-Halloween weekend featuring pj’s and a thermos of hot toddies…think again. There’s a trio of swell festivals this weekend so buck up and get to it. “Wampumlicious” may not trip off the tongue like Lollapalooza but this “music of America” event — still more private party than corporate-funded chaos — trumps with teepees. 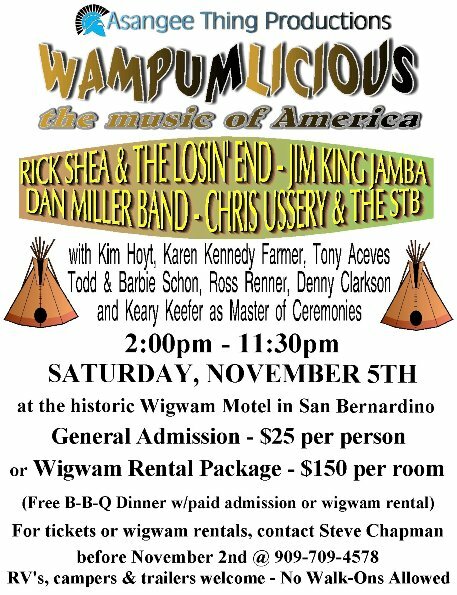 Held at San Bernardino’s historic Wigwam Motel — one of three Forties-era establishments still in existence nationally — this 3rd annual Americana festival features artists like Rick Shea & The Losin’ End, Jim King James, and Dan Miller. 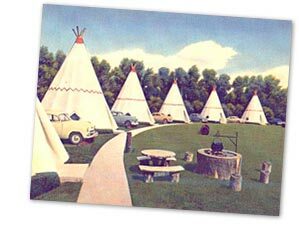 And yes, you can rent a wigwam for the night. There are NO walk-ons/at-the-door/day-of tix so if your name isn’t on the guest list, you’re out of luck, Kemosabe. Your day ticket/teepee rental includes a BBQ dinner but Chapman advises bringing lawn chairs, jackets, blankets, ice chests, and thermoses. Most importantly, no hooch will be available at the hoedown so bring your own firewater. Ms. Go Go reminds you of the aforementioned hot toddies. Go Go’ers, your reputation for being ahead of the cultural curve can wreak hell on your wallet. Lucky you….AFI Fest 2011‘s Silver Jubilee is sponsored by Audi, which means free entrée — if available — to 110 movies that have wowed audiences at multiple film fests around the globe. That’s 110 chances to wow friends and infuriate enemies with your encyclopedic knowledge of cinema. Clint Eastwood’s Oscar-baiting J. Edgar opens the Fest on November 3rd — with Leo in attendance — and Steven Spielberg’s The Adventures of Tintin (“Blistering barnacles, Snowy!” ) closes the cine-xtravaganza on November 10th. In between, at heart-of-Hollywood Grauman’s Chinese, the Chinese 6, and the Egyptian theaters, you’ll find buzzed-about flicks from cinematic heavyweights (Wenders, Polanski, Herzog, Von Trier, Guest Artistic Director Almodovar) and alt darlings (the Duplass brothers, Lynne Ramsay, Steve McQueen) plus categories such as World Cinema, New Auteurs, Young Americans, and Shorts. Ms. Go Go cannot guarantee that there will be no Young Americans in Shorts. 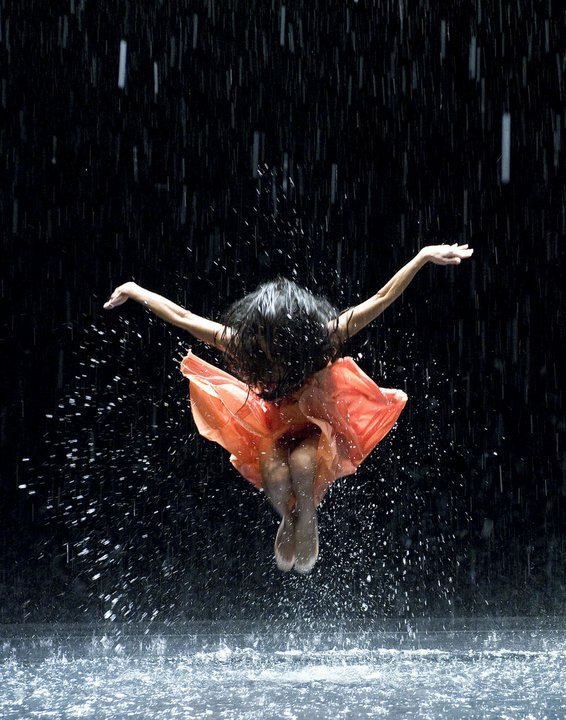 There’s also the Breakthrough category, which features films found through the submission process. So next year? Your Williard-inspired, all-Lego cine-masterpiece is gonna rule…! ComicCon too big? Too impersonal? Too far away? 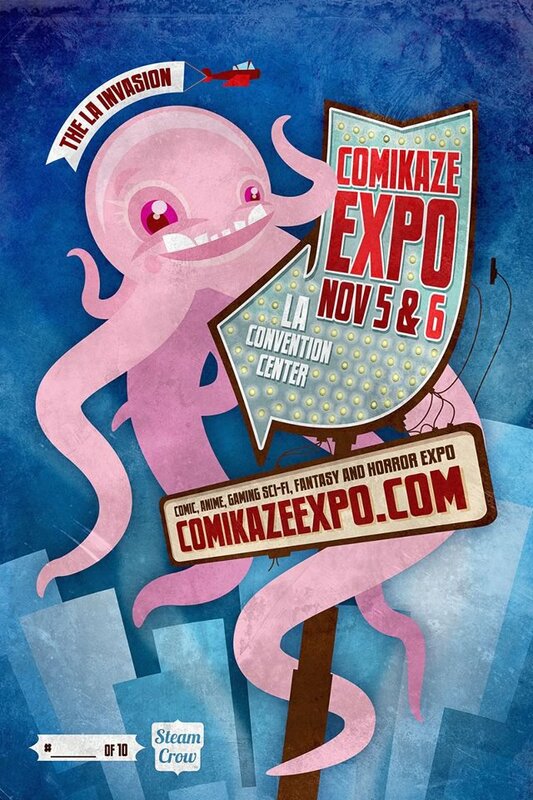 Whether you’re an unabashed fanboy/girl or a casual peruser of comics, Comikaze: The L.A. Invasion aims to gladden the geek in you. At the “Cutting Edge Pop Culture Expo”, expect gaming tournaments, independent film screenings, and panels; Family Events are scheduled on November 6th…for your baby Chewbaccas. A portion of the proceeds will be donated to saving rain forests through Amazon Foundation…so you can feel good about your geekery. Of course, no pop culture expo would be complete without celebs. Appearances will include legend and Godfather of Comics Stan Lee, legend and Mistress of the Dark Elvira, legend and Birds target Tippi Hedren, and Morgan Fairchild who, as we all know, is legendary as Jon Lovitz’s “wife”. There’s also a cosplay contest ($500 1st prize, yo!) and a masquerade ball, which means you can trot out that costume for another round. Let the legend of Roomba-with-a-view begin. Next Post JUST BECAUSE HALLOWEEN’S OVER…. I’m exhausted at all these options. Can’t I just have a cocktail and relax? Margaret, you can ALWAYS have a cocktail and relax! Did you try the hot toddy recipe?